Product prices and availability are accurate as of 2019-04-19 02:27:19 EDT and are subject to change. Any price and availability information displayed on http://www.amazon.com/ at the time of purchase will apply to the purchase of this product. Handcrafted beauty brought into life. Feel the royal style, an imperial enigma, These chess figures set brings out the finesse of luxury and opulence that can't be ignored. Quality re defined the intricacy of artwork and superiority of design is evident in the enticing figurine pieces of marble. 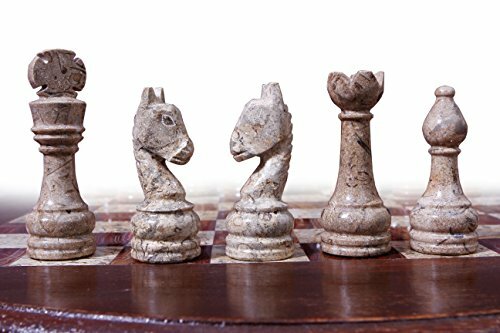 Bring home chess figures set that are stunningly beautiful and has power to captivate the onlookers. 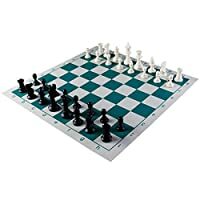 ONLY CHESS FIGURES, NO CHESS BOARD - PLEASE CONTACT FOR FULL GAME. 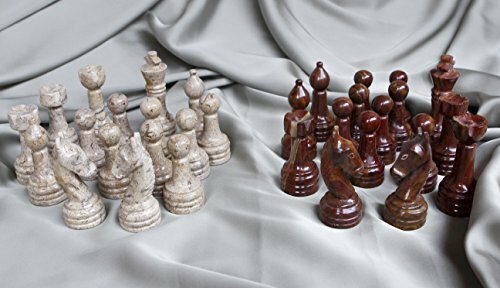 Magnificence re instated, the handcrafted chess pieces are strikingly attractive and bring out the majestic charm with their elaborately sized figurines. The king measures a stately 3.5 inches. Total 32 Chess Figures only 16 Dark Brown color and 16 Light Brown color. Comes in a Safe and Fragile Secured Packaging.